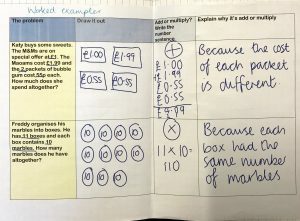 When it comes to reasoning in maths, quite often (assuming they’ve got the arithmetic and calculations bit nailed) what the questions are testing is how good a child is at abstraction. Abstraction is a key concept of computational thinking and it basically means getting rid of all the stuff you don’t need. 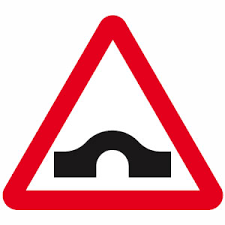 It’s a warning that there’s a humped bridge coming up. Not all bridges look like that in reality but in this diagram, it’s been boiled down to the essence of what a humped bridge is and any unnecessary detail has been left out – that’s abstraction. 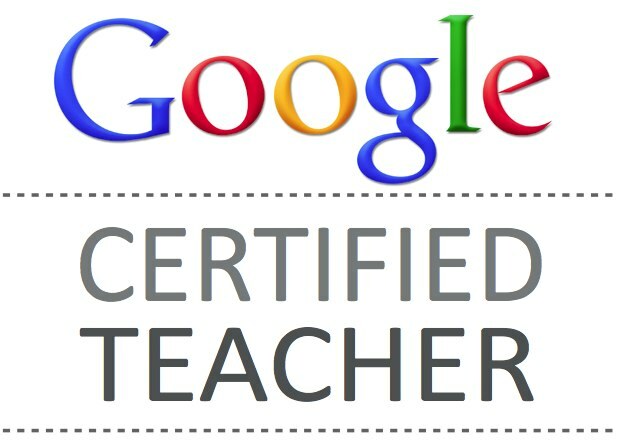 Whether you realise it or not, if you’re a (primary) teacher, you teach abstraction all the time. We give young children problems like you have three apples and your friend gives you two more. How many do you have now? Then we teach them to represent it as 3 + 2 = 5. 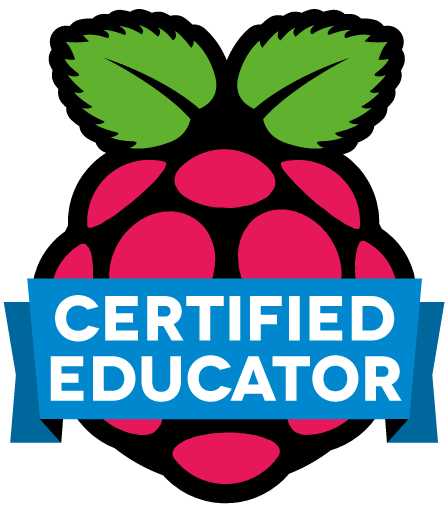 They also learn that it doesn’t matter if it’s apples, marbles or Lego trading cards – the same calculation will work. That’s the beauty of abstraction right there. As they get older, they then learn more symbols and the abstraction gets more complex; they often need to work out what to remove in relation to the context of a problem. 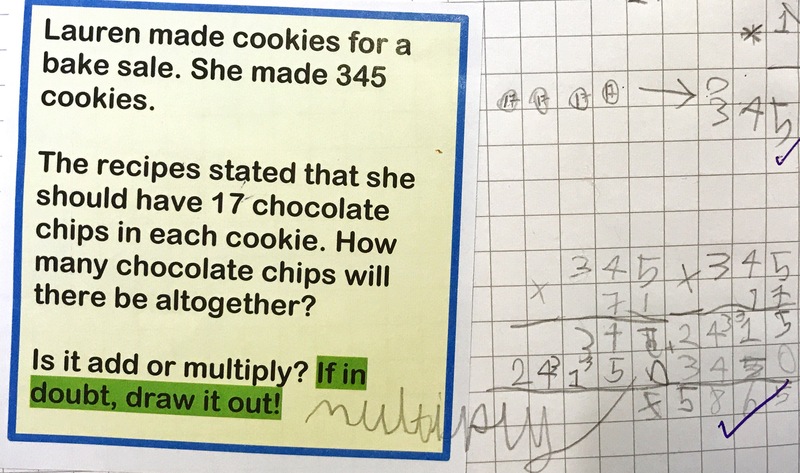 My maths group have been doing brilliantly with long multiplication recently, but I suggested to them that the real skill now would be to identify if a word problem required multiplication or addition – and this proved to be a little tricky for many of them. 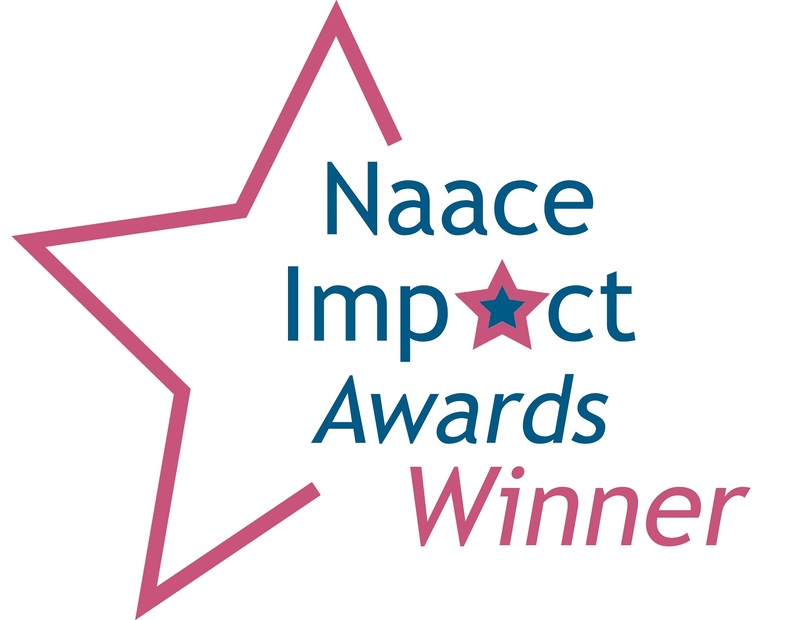 Often, in primary classrooms, we see children being taught that certain words signal a particular operation is needed and this helps to an extent but it isn’t full proof. 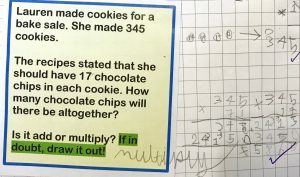 For example, several children saw the word total in a question and so said it must be addition was that was needed, when in actual fact multiplication was more appropriate for this particular problem. 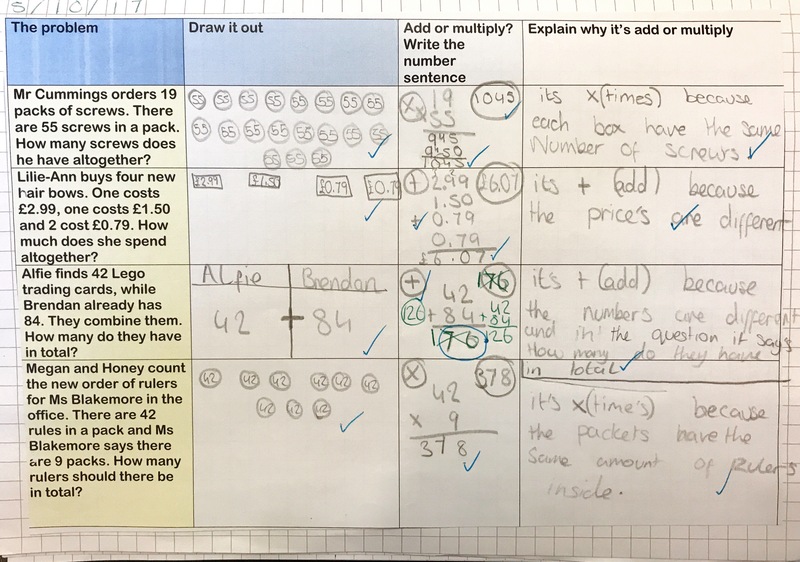 It became clear they needed an extra step to get them from the words to the calculation and so I’ve explicitly taught them strategies to ‘draw the problem out’ – another step in the abstraction process. 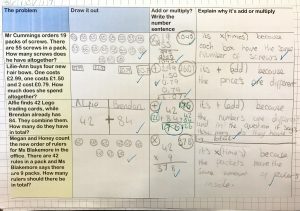 The children understood that repeated addition was multiplication so if they saw a number repeated in their diagram, then multiplication was needed but if they saw a bunch of different numbers, then addition was needed. Now, we use the phrase if in doubt draw it out when children aren’t sure what operation is needed. So now we’re at a place where some children still draw it out and some children can now visualise it in their head and go straight to the calculation stage of abstraction, which is the ultimate aim. 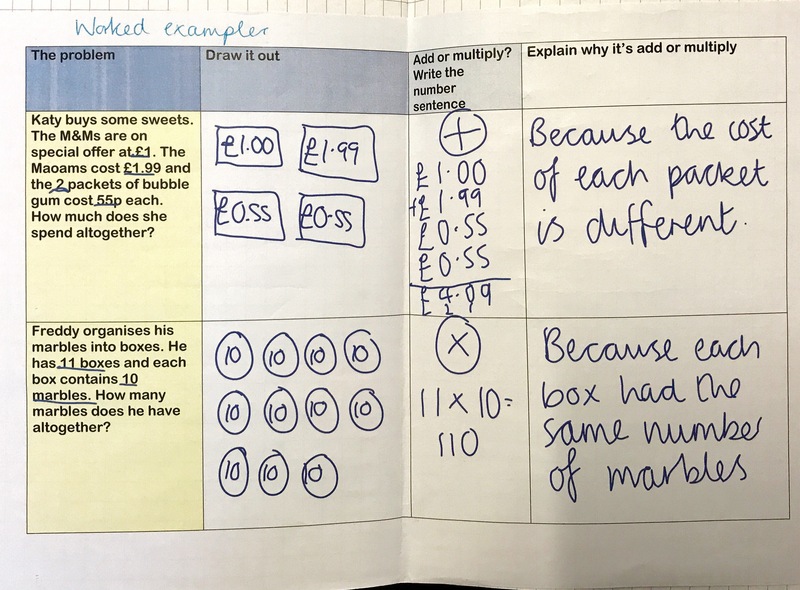 Either way though, being able to utilise the process of abstraction is key in maths reasoning and some children may need it broken down into more steps than others so try explicitly teaching ways for them to ‘draw it out’ to help get them there.